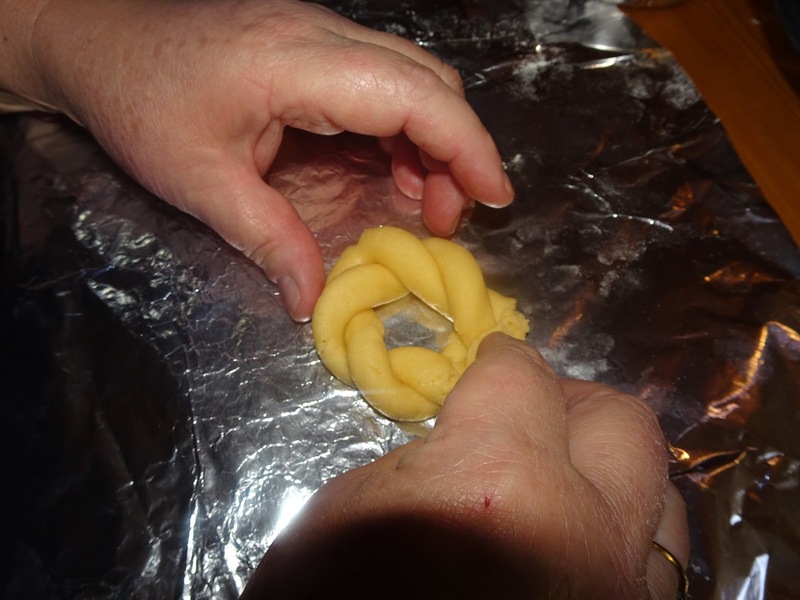 My mum says as a greek you must carry on the traditions of which our ancestors did. 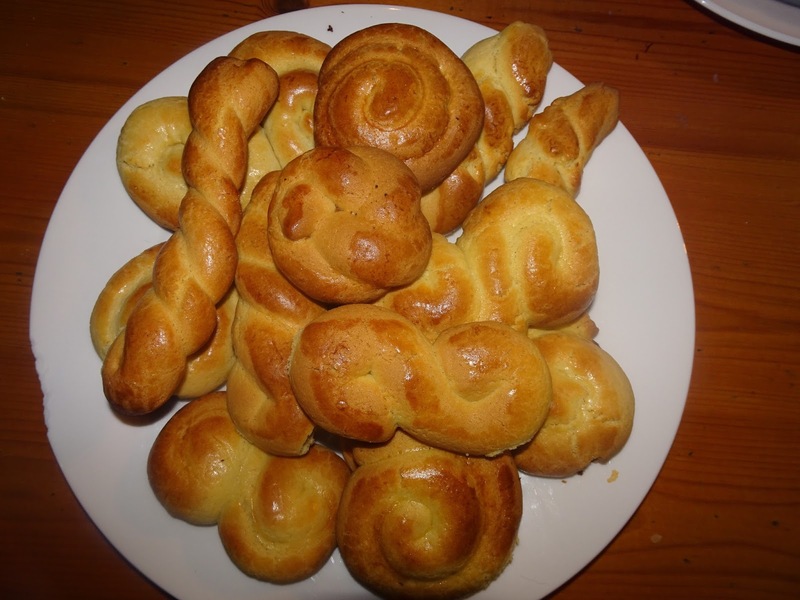 These biscuits are traditionally made, as there are certain shapes you are allowed to make (which are all shown in the image above) these biscuits are made and eaten every year for Greek easter, and personally I absolutely love them. 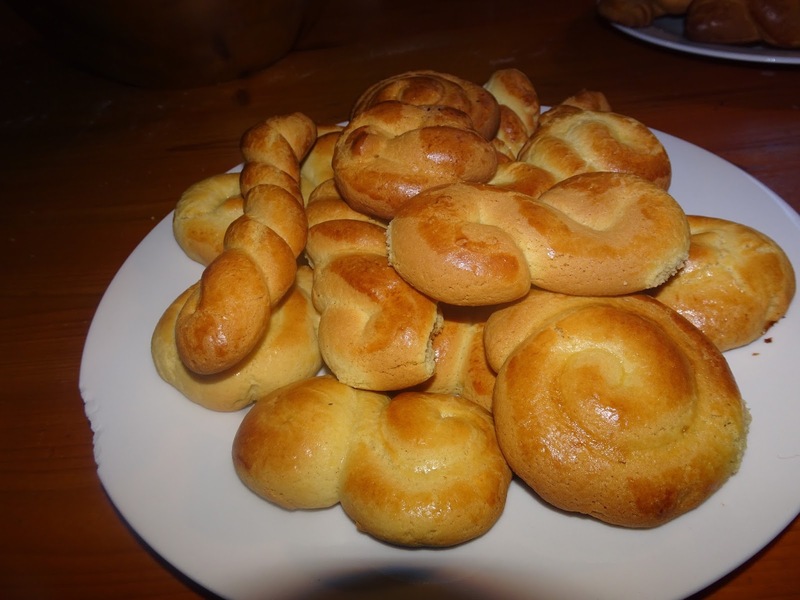 Even if you are not Greek you can still make these and create different shapes of biscuits, but it is always nice to continue on with traditions as it teaches us about our culture and other peoples cultures, so try it out yourself! Preheat your oven at 200C. 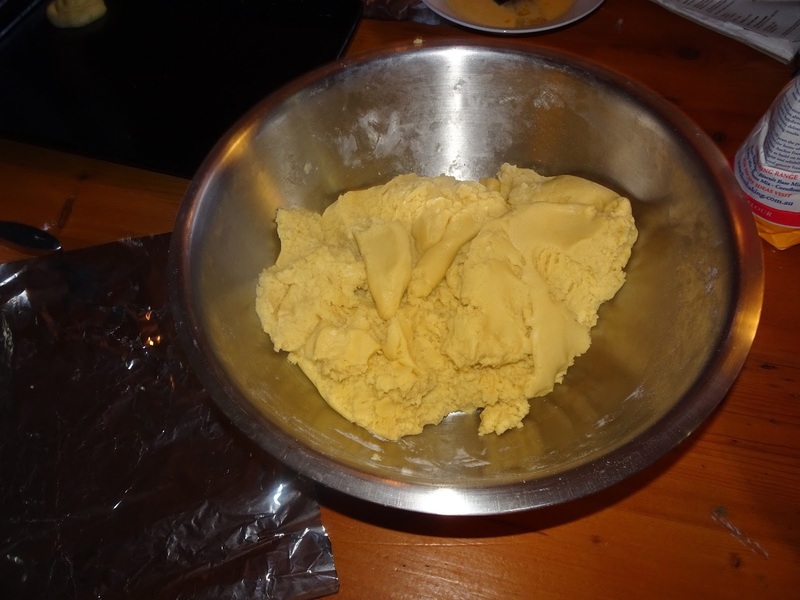 Start by mixing the butter and the sugar for around 10 to 15 minuets, until the butter is creamy and fluffy. While the butter and sugar are mixing warm the milk in a pot on the stove, once warm remove the pot and add the ammonia to the milk, mix until dessolved. Once the butter and sugar are mixed well add the eggs one at a time whilst mixing, allowing each egg to be absorbed before adding another one. Pour the vanilla extract, the orange zest and the milk (which has the ammonia in it) into the butter, sugar and egg mixture. 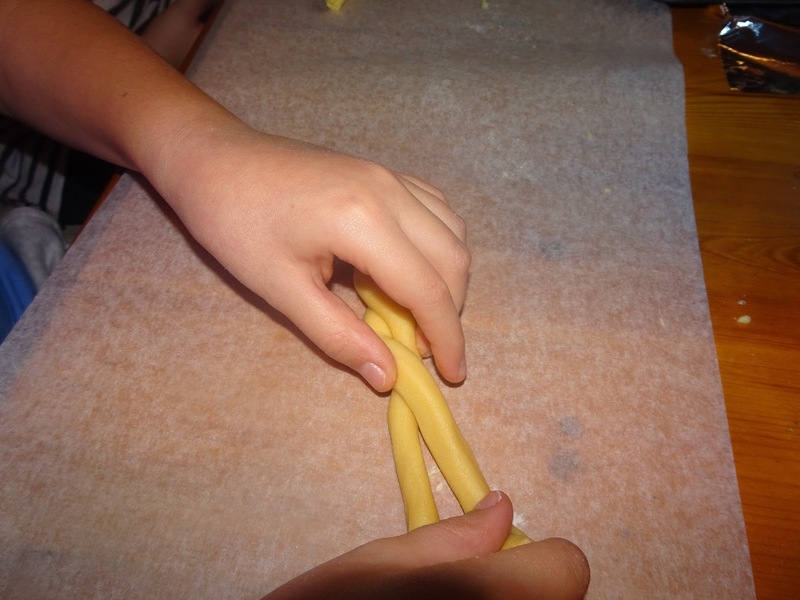 Once combined add the flour, a little bit at a time whilst mixing until all the ingredients are well combined and the dough is not too sticky. 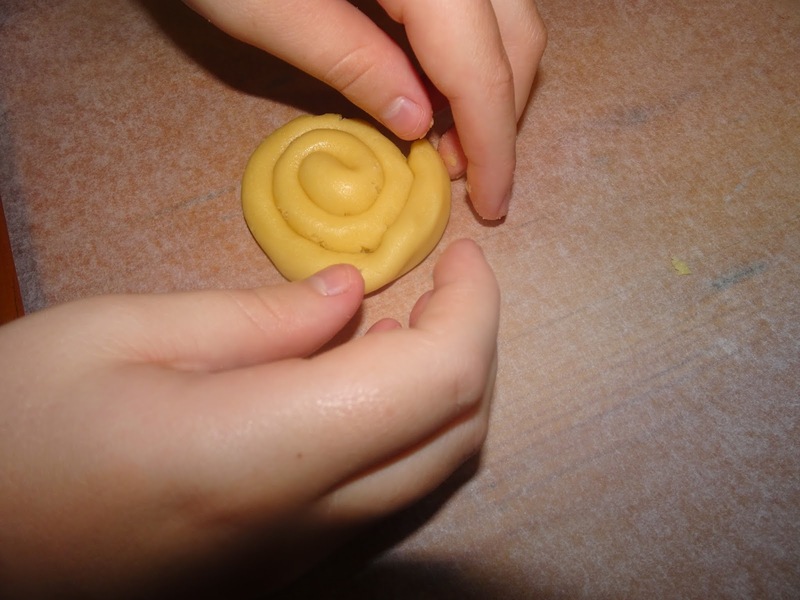 Cover the dough with some plastic wrap and set it aside for 20 minuets. 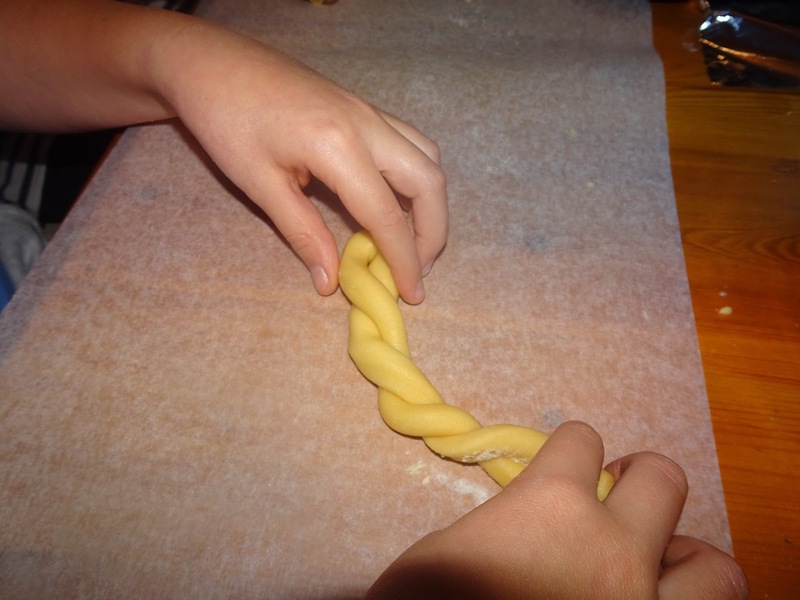 Place the dough on a clean bench and take a small piece of dough and form long cords, from there you can shape the dough with you hands into anything you would like! 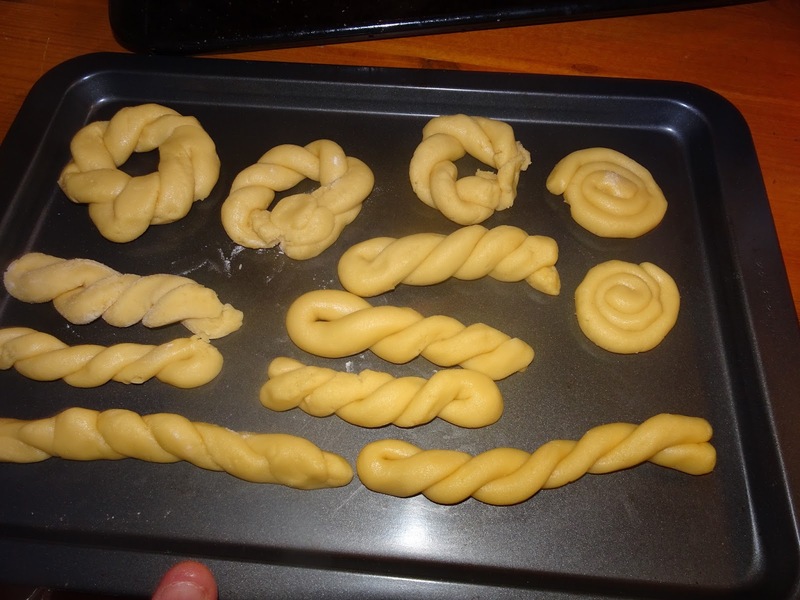 Line your baking tray with baking paper and place the koulouria on the tray, making sure you leave some space between them as they will rise quite a bit when baked. In a small bowl add the egg yolks and 1 tablespoon of water and whisk it with a fork. 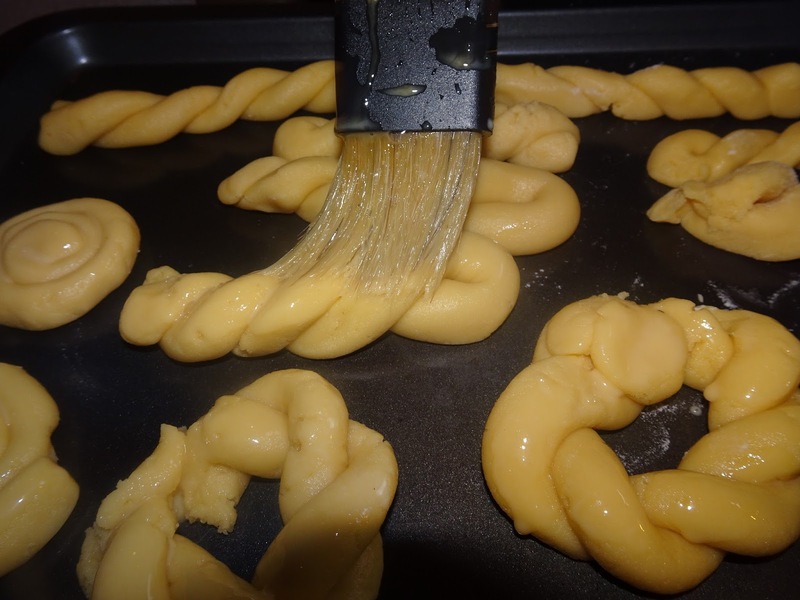 Once done you can brush this over the top of the unbaked koulouria after they are shaped. 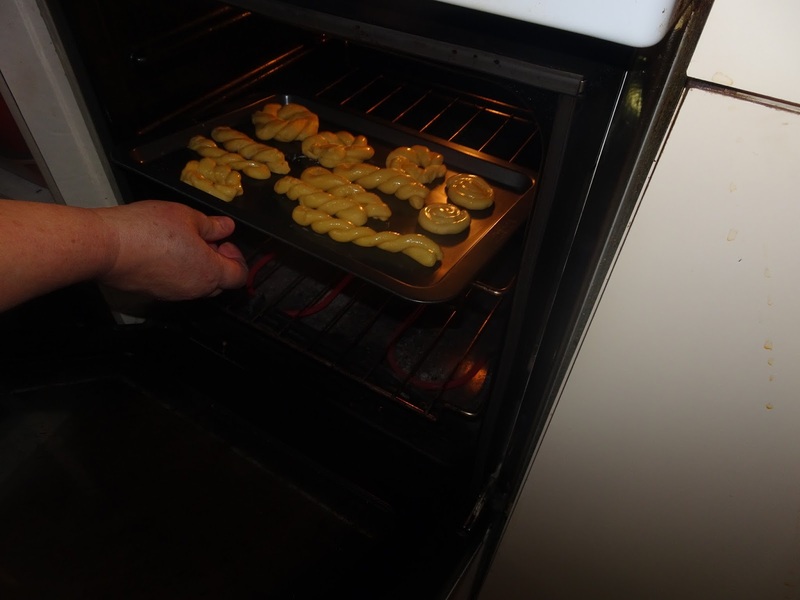 Then place them in the oven for 15 minuets until golden brown.